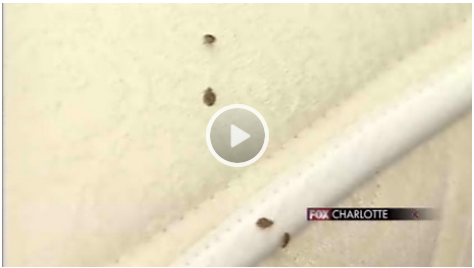 CHARLOTTE, NC – It’s a problem that’s growing in Charlotte and across the country – bed bug infestations. 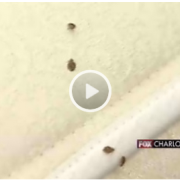 “Bed bugs this year are the worst I’ve ever seen, and I’ve been doing this for 30 years,” said Rick Seifert, owner of The Pest Control Authority in East Charlotte. Seifert says on Friday alone, his company received 15 calls about bed bugs. In past they would get around five calls on average. The problem mostly occurs in multi-family dwellings, but in some other cities movie theaters and even offices have dealt with infestation. Seifert says something like that could happen here. “If you have someone that has clothing or a suitcase or book bags – a briefcase, and they have bed bugs at home, and they’re near the bed or the couch, the bed bugs might climb into that,” he said. To help keep your home safe from bed bugs, when you’re staying at a hotel or motel, Seifert says check the bed you’ll be sleeping in and pull off the sheets to check for any sign of the bugs. You need to make sure you have the right bedding materials to use. The Pest Control Authority’s mission is to protect the health and welfare of our clients, their families, homes and environments. We provide the highest quality of pest prevention services using the best principles of integrated pest management.